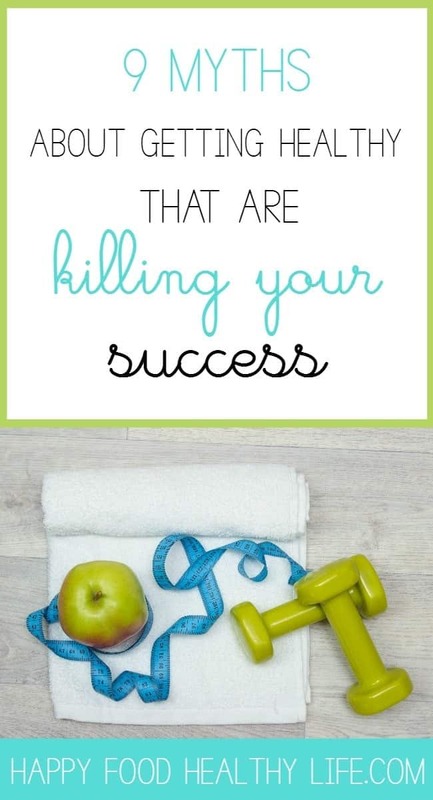 We are bogged down by all these things we’re supposed to be doing in order to get healthy. But what if you found out that half of them were myths and you were doing it wrong the whole time?? Read on to find out what’s true and what’s just a myth. Getting healthy. Losing weight. Call it whatever you wanna call it. I know you have some sort of goal you’re working on. One that you can’t wait to reach. You know one day you will. You just know it. The problem though? You’ve been working on this one goal for as long as you can remember. I mean, I have people in my life who have literally been trying to lose weight “once and for all” for the last 20 years. I know people who are always trying to “get healthy,” yet they never quite get there. It has actually made me start thinking about why it’s so hard. Why is it so freakin’ hard for people to get to where they want to go? 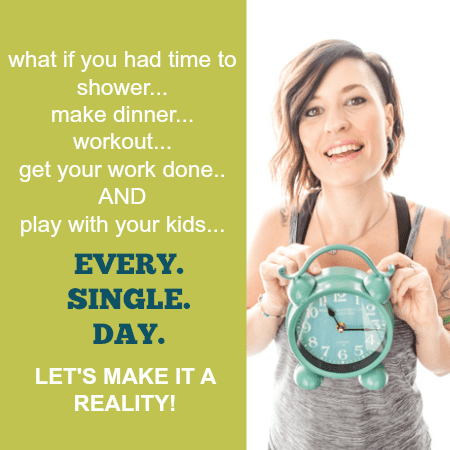 Find out why it’s so freakin’ hard for us to actually get a grip on our health! It shouldn’t be that hard to get healthy, right? Except that it seems to be for so many people. And then it dawned on me. We are being fed so many different pieces of information on the subject of getting healthy that we just don’t know what to believe anymore. In fact, much of the information we are taking in is completely wrong, yet we believe it to be the truth. So then what happens when we’re not able to follow the guidelines we’ve been given? We automatically think we are failures. The problem is not in our individual selves. The problem is 100% in the junk we’ve been fed – through tv, internet, magazines, etc. The diet industry has tried to make us believe certain things, when in all actuality the majority of it is just myths and lies. Today, I want nothing more than to debunk some of the myths you have heard about getting healthy. There is no need to go on living a life where these myths are truths. Losing weight happens in a straight line. 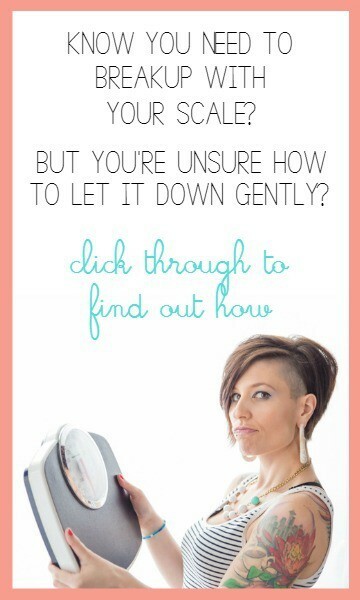 Do you know what weight loss looks like for the majority of people? A bit like this. 1 pound down. 2 pounds up. 3 pounds down. 1 pound up. 2 pounds down. 1 pound up. 3 pounds down. 1 pound down. 2 pounds up. You see what I mean? Up and down all over the place. We’ve been brainwashed to believe that if we’re following all the rules, the scale should go no place but down. Weekly weigh-ins where weight loss is the only acceptable result have made us think this way. The truth of the matter is that weight fluctuates so often because of so many different things. Water, sodium, hormones, etc. I mean really – are you really going to call yourself a failure because your hormones caused you to gain a few pounds? Nope. It’s out of your control. There are good foods and bad foods. Ok, now this is one I’m really very very passionate about and could talk about all day long. It seems as though there are good foods and there are bad foods, right? WRONG! Food is just food. You aren’t being bad because you’re eating a certain type of food. You aren’t being naughty because of a food choice. You are cheating on anyone or anything because you ate a specific food. If a food has a bajillion calories in it, does that make it bad? Nope. That just makes it a food with a bajillion calories in it. Plain and simple. If a food is gluten-free, dairy-free, organic, and “clean (whatever that means),” does that mean it’s a good food? Not necessarily. It just means it’s all those things. Once we start putting labels on foods, we start associating our actions with those foods as the truth. So I ate a food that’s considered “bad.” Does that make me a bad person then? And another thing that happens is the ole, “rules are meant to be broken” situation. “Oh! That’s a BAD food?? I’m probably not supposed to have it, am I?” And then of course, all you can think about is eating that one food, which in turn will lead to you feeling badly about yourself. So what if instead foods had zero labels. No good. No bad. Just food. Food you judged by the way it tastes and makes you feel. Simple as that. Done. You can’t seem to find any self-control when it comes to the work potluck? All you want to do is eat all the things? Having delicious snacks in the house is impossible because of your lack of will-power? Giiirrrll. I gotta tell you something. This will-power joke is not a thing. It has nothing to do with having enough self-control. I mean, really, I can’t blame you. You don’t allow yourself to eat delicious treats on a regular basis, so what happens when you’re suddenly in the same vicinity as them? Of course, you’re going to feel a huge urge to eat all of them. I promise you that I’m no different than you. So then what do I have that others may not? Well, I allow myself to eat any food at any time my body is craving it, so when I’m presented with the opportunity to gorge on something delicious, I often don’t feel the need. Or I’m okay with just a bite or two because I know I could make it available to myself at any time I want it. Also, another reason I’m able to limit some of the sweets I eat it because of the priorities I have consciously set up in my life. I know that living a healthy life is super important to me, and I know that excessive sweets won’t get me there. I make conscious and intentional decisions about everything that I eat. That’s all you gotta do, right? Just eat less and move more and then you’ll gain all the health in the world. While that is true to an extent, the way people casually put it out there makes it seem like it’s the easiest thing in the world. You know, no big deal – I’ll just move more eat less. What if that’s the exact issue I’m having? What if I’m depressed and moving more just isn’t in the cards most days? What if I’m eating my emotions and am not quite sure HOW to eat less? If you keep hearing these two things and feel like they’re not nearly as simple as people are saying they are, it’s likely that you are feeling like a failure for not being able to do the eat less, move more thing. You are not alone. First, you may need to work through some other issues with a professional as far as what is getting in your way from making this happen. Weight Loss diets actually work. I hate to break it to ya’ friend, but this one may be the biggest myth of them all. Well then why oh why do people jump from diet to diet? How come everyone doesn’t just stick to one diet that works and call it good? The truth? Because eventually there will be failure of some kind. You’ll break the rules of the diet. You’ll do something just a little bit wrong. And before you know it, you’re off the diet and have gained all the weight back. And you’re off looking for yet another diet that you can temporarily lose weight from. It’s all temporary. Unless you can stick to a diet for the rest of your life (which is very unrealistic), the weight will not stay off. 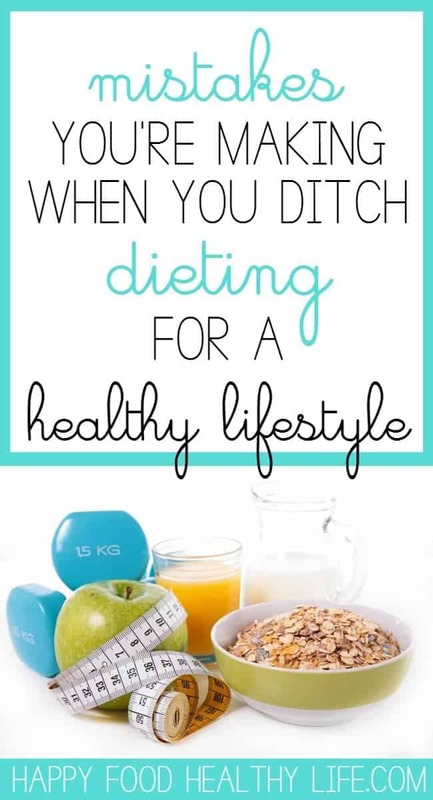 “Diet Foods” help you to get healthy and lose weight. You know what diet foods are? No? Well neither do I.
They’re definitely not good weight loss tools. Whether they’re low-calorie, low-carb, low-sugar, low-whatever, they are definitely missing something. They’re often missing real nutrients. They’re usually full of fillers in order to make them taste good. They overcompensate in another area when cutting one out, making it a not-very-balanced option. Diet foods are nothing but trendy and easily marketable because we think they’ll make us healthier and skinnier. Diet foods are just trendy and marketable because we think they’ll make us healthy and skinny. Low-carb, Vegetarian, Low-fat, Paleo, etc automatically makes you healthy. Did you know that there’s such thing as an unhealthy vegetarian? That’s right. There are plenty of foods with zero nutrients that are meat-free. Twinkies, Chips, Soda. All vegetarian. And not nutrient-rich at all. All these other lifestyles are the same way. It’s totally possible to be gluten-free but eat nothing but gluten-free cakes and cookies. These diets do not give you a free ride to eat all the things that fit in the specified category and still be healthy. Of course, this is not to say that any foods should be restricted. I’m only stating the point that not all gluten-free, vegetarian, low-fat diets are automatically healthy. They still require balance and moderation. All processed foods are bad. We hear it all the time. We’re only supposed to eat real food that comes straight from the source. Nothing processed that comes from a factory and is in a can, bag, or box. Give yourself a break with this one! Sure, I do my best to stick to lots of produce. But I’ve gotta give myself some slack, and I think it’s time you do too. I mean, are you gonna start grinding all your own wheat for your flour to make pizza crust every week? Surely not every single time. And spinach – I love the convenience of buying spinach that comes in a bag pre-washed and ready for me to use. Beans – do I really have time to cook my dried beans every single time? Mmm – nope! Buy a can of beans for heaven’s sake! I am one busy lady and I can’t fathom having to do each and every thing from scratch! Sometimes convenience really can be worth it when it comes to time and sanity. No one’s gonna die here. Promise. Um, big fat nope to this one! Calories aren’t bad. In fact, they are a necessity to living. Calories give you energy. Calories give you life. Without them, you’re screwed. Often, we look at calories with this big ugly negative eye. But the truth of the matter is just that food has to be measured some way, and calories it is. There is no reason to be afraid of them. As long as you are listening to your body, eating only when you’re hungry and stopping when you feel satisfied, there should be no reason why you ever have to pay attention to calories. So these myths. Are you convinced that they’re just a bunch of bull yet? Are you seeing yet that it is time to end the silly rules? Now that you know the truth, what now? Where do you go from here? 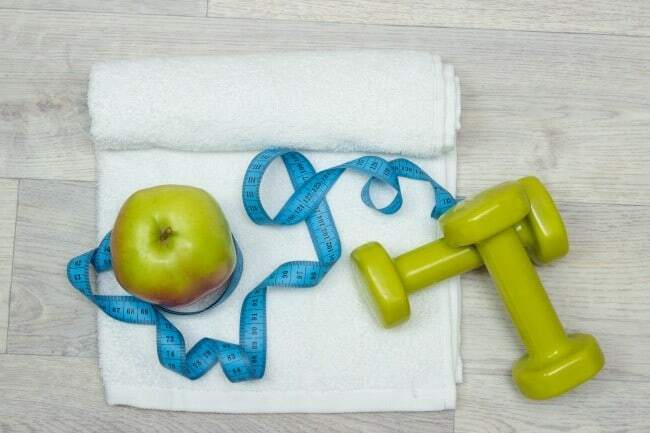 Mistakes You’re Making when You Ditched Your Diet for a Healthy Lifestyle – We all know that living a healthy lifestyle is smarter than going on a diet, but there are some big mistakes you might be making when it comes to making the switch to getting healthy. Are you making these mistakes? And of course, I can’t leave you without some yummy recipes! 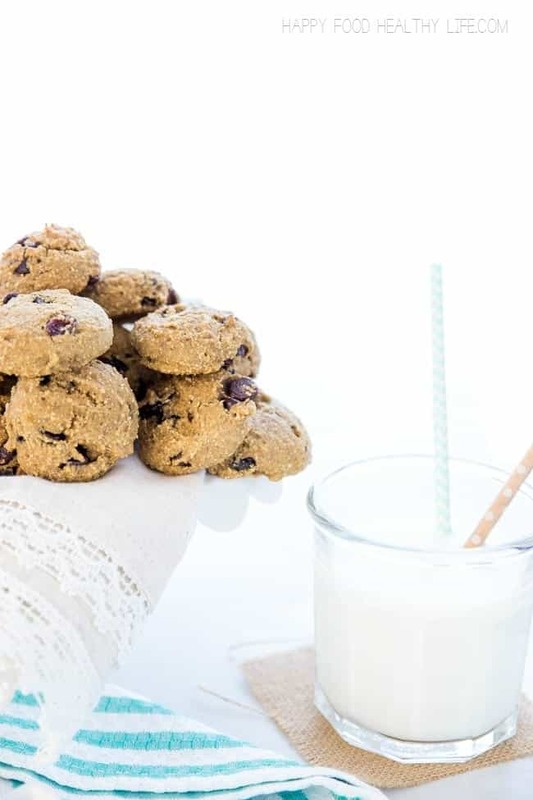 Everything-Free Cookies – I’m talkin’ nut-free, gluten-free, dairy-free, sugar-free, egg-free. But not YUM-FREE! 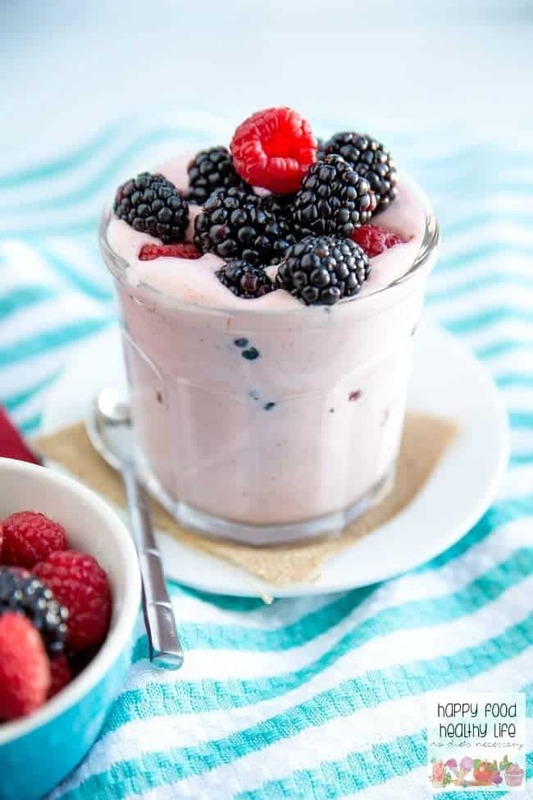 These Red Hot Berry Protein Parfaits have a kick of spice that will get your metabolism working in no time. This is the easiest breakfast or snack, especially for those who don’t have much time in the mornings. Click through to get one of the best parfaits you’ll ever have! If you enjoyed this post, make sure you share on Pinterest, Twitter, Facebook, and StumbleUpon with the buttons below. Yes to all of this! I’m so tired of hearing that certain foods are ‘good’ or ‘bad’ or being told to go on whatever diet is the current fad. The only way I’ve ever been able to lose weight and get healthy was by focusing on mostly eating nutritious foods and getting plenty of movement. Thanks for sharing some common sense! Hi Leslie! Thank you so much for stopping by, and I’m SO glad to hear that you agree with the common sense 🙂 Hearing negative words associated with food in any way drives me batty. Bad food, naughty food, junk food.. all of it. I’ve tried to start calling it PLAY food. You know, the food that doesn’t quite have much nutritional value, but that we still like to indulge in every so often. It’s considered play food. Doesn’t that sound much happier? !